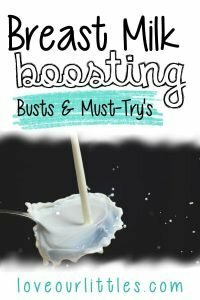 Breast Milk Boosting Busts and Must-Try’s! If you’ve done any asking around about what breast milk boosting magical products are out there, you’ve likely heard the usual recommendations. I’m sure you’ve tried them all too and some of those go to “milk cures” do indeed work! I’m here to tell you about some products I have stumbled upon that gave me shockingly and unexpectedly good results with my breast milk production. I have a hunch that you may not know what I’m about to list, so keep on reading to find out! First, lets briefly go over some of the products that promise to increase milk supply, but give a lot of milky mamas either no results or sometimes even the opposite effect! Fenugreek was all over the place when I first started my breast milk boosting research. So, I (figuratively) sprinted over to Amazon and made my purchase. I did not miss a beat taking this supplement. I was ready to have that huge over-supply and build that gigantic freezer stash I was dreaming of. The results of this “milk miracle maker” were less than impressive. I was pumping around the clock and taking the fenugreek religiously, but my milk supply kind of leveled off and my newborn was painfully gassy! Likewise, I’ve also encountered many other breastfeeding moms who have tried the fenugreek supplement routine to have had the same experience as me. Through my experiment, I’d say fenugreek is in the category of a breast milk boosting bust! Another breast milk boosting bust for me was mother’s milk tea. I was drinking a cup every two hours and all I noticed was a very gassy baby! Take a look at Earth Mama Organics, they have a lactation tea I would recommend you should give this a try instead! These 7 breast milk boosting products were discovered by accident, but the results were impressive! I couldn’t ignore the instant boost to my milk supply they provided me with and I hope you have the same such luck! You can get all of these items at Target, Trader Joe’s or Amazon. More tips and ideas to help you increase your milk supply! Does Body Armor Drink Increase Milk Supply? Breastfeeding Moms Want to Know! Grab your free ebook with my top milk boosting tips! Your Milk Supply Success Story is on the Way! Watch this short video please and then continue reading. A mother’s love really has no limits, which is why I want you to be aware of the resources you have for help with breastfeeding difficulties you may encounter. For the mama who is hoping to nurse her baby, I recommend investing in your breastfeeding journey with this all video course provided by Milkology called The Ultimate Breastfeeding Class. This online course has been a huge help to thousands of moms just like you who just wanted to be more prepared for breastfeeding in the privacy of their own home. 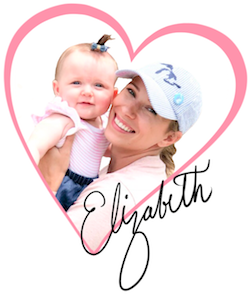 I suggest you check out out the curriculum for yourself and see why so many other moms have already enrolled. P.S. The course in only $19.00 and you get 24/7 access forever! Plus – If you choose to purchase this course or any other ones I recommend through a link on this site, I’ll send you my exclusively pumping course for free! Here are the details.